Prof Purshottama Sivanarain Reddy is a Senior Professor and subnational governance specialist in the School of Management, IT and Governance at the University of Kwazulu Natal. 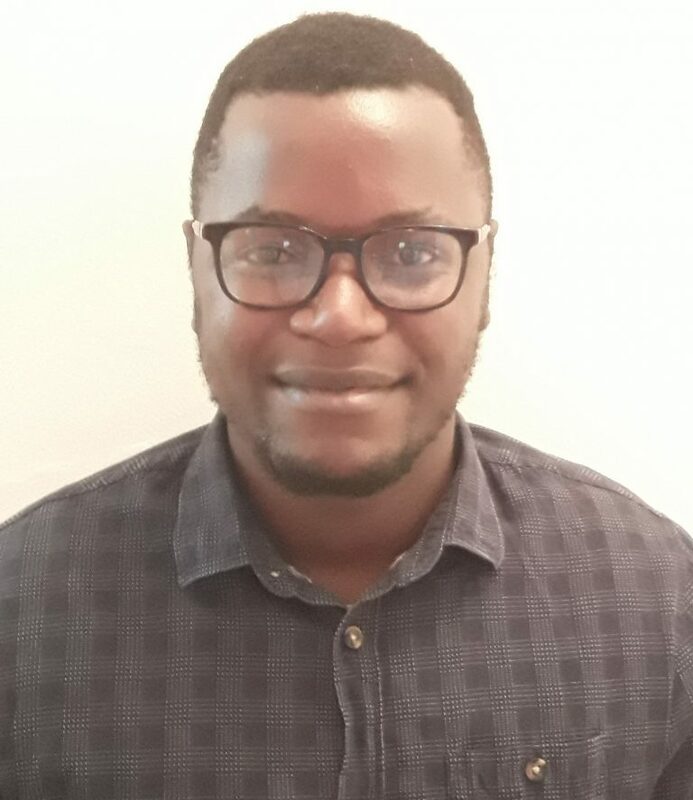 He is currently Vice – President : Programmes, the Project Director of the Working Group on Sub – national Governance and Development and member of the Board of Management representing the African Region of the International Association of Schools and Institutes of Administration (IASIA) (Brussels). He has also served on an IASIA – UNDESA Taskforce for Effective Public Administration at the Local Level for the Achievement of the MDGs. Prof Reddy served as a member/alternate associate board member of the Commonwealth Local Government Forum (CLGF) (London) for a number of years, representing universities and research organisations. The Acting Dean of Research in the College of Law and Management Studies, Professor Harold Ngalawa, holds a PhD in Economics from the University of Cape Town; a Master of Arts in Economics and a Bachelor of Social Science (majoring in Economics) from the University of Malawi; and an Advanced Diploma in Treasury Management and Trade Finance from the Banking and Financial Services Academy. He is a Certified Associate of the Institute of Bankers in South Africa and member of the Economic Society of South Africa. 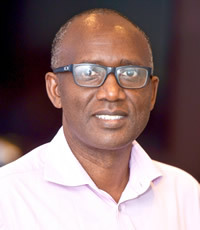 Professor Ngalawa’s area of specialisation is monetary theory and practice, with particular interest in the modelling of monetary policy in low-income countries. He has also carried out extensive research on banking instability, deposit insurance and monetary policy asymmetries. He has published widely in many leading journals including Economic Modelling, Journal of Applied Economics, South African Journal of Economics, South African Journal of Economics and Management Sciences, Studies in Economics and Econometrics and the African Finance Journal. He has also presented his research findings in many countries including China, Czech Republic, Ethiopia, Hong Kong, Kenya, Netherlands, Norway, Senegal, Swaziland, Tanzania, Turkey, Uganda, United Kingdom and USA. 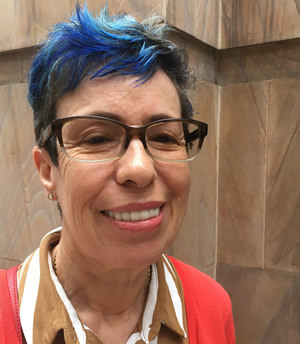 Professor Isabel Martins hold a PhD in Organisational Behaviour and her research is mainly focused on the subject area of Strategic Management and OB – Organisational Learning and Knowledge Management. Her research interests are Organisational Learning and High Performance Working Practices, Strategic Human Resource Management, Intellectual Capital – Developing Human Capital and Tacit Knowledge in High Performance Working Organizations, Innovation and Creativity as well as Student Employability – Soft Skills. She has held academic teaching and administrative roles at Universities in various countries, namely, South Africa, UK, Portugal, Germany, Hong Kong, Gulf Countries, Namibia as well as Turkey. In these various roles she embraces a collaborative and transformational leadership approach, by inculcating a culture which is based on creativity, innovation, passion and collaborative spirit, thus replicating my mission in life. 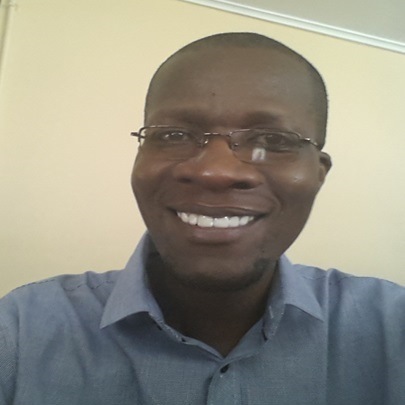 Professor Josue Mbonigaba is an Academic Leader Higher Degrees & Research in School of Accounting, Economics and Finance at University of KwaZulu-Natal. He has versatile background has worked in academia, business and international development and NGO arena for several years. In academia, teaching and researching in economics with qualitative and quantitative techniques, administering academic courses as well as academic programmes has constituted main occupation. 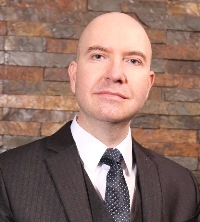 In business, as a highly motivated and results-orientated manager within the field of legal and insurance services, he recorded an accomplishment for providing exemplary levels of service to a broad range of clients and to his employer including bookkeeping, budgeting and human resources management. Professor Ziska Fields is an Associate Professor in the discipline of Management and Entrepreneurship. She is teaching at undergraduate and postgraduate levels. Her research interests focus on creativity and innovation specifically in tertiary education, business environments, entrepreneurship and research. She is a member of the South African Institute of Management (SAIM), Institute of People Management (IPM), Educational Association of South Africa (EASA) and the Ethics Institute of South Africa (EthicsSA). As a supervisor, Professor Fields establishes a compatible working relationship with each of her students and encourages each student to stretch themselves by working hard and deliver good quality work. She motivates each student to focus on adding value with their studies by sharing their research in journals and in conferences. Professor Fields also encourages community engagement by building strong business relationships with experts and industry leaders and by sharing academic expertise with various businesses and institutions in the areas of Management and Entrepreneurship.professor Fields is also a peer reviewer for various accredited journals and conferences. Professor Ana Martins is an Associate Professor in the Graduate School of Business & Leadership. She holds a PhD in Leadership and Strategic Management with the support areas of Organisation Studies, Strategic Human Resource Management and Information Sciences. Her research interests are: Shared/ Distributed Leadership; Humanisation of Organisations; Strategic Human Resource Management; The role of Culture, Communication and Trust in organisational sustainability; Innovation & Creativity in teams. Her scholarly and academic experience includes working with and teaching in Universities with diverse cultures and countries, namely, the UK, China, Germany, Portugal, the Middle East and currently in South Africa. Professor Mogie Subban is an Associate Professor in the School of Management, Information Technology and Governance at the University of KwaZulu-Natal. She lectures to both undergraduate and postgraduate students, and supervises and promotes honours and masters research in the field of Public Administration in various institutional settings. She serves in the capacity of external examiner for tertiary institutions, including Universities of North West and Nelson Mandela Metropolitan. She served as a member of the Joint Universities of Public Management Education Trust (JUPMET). She also served on the Standards Generating Body (SGB) for Public Management. She was a member and treasurer of the former KwaZulu-Natal Public Management Forum. She has co-published articles in Public Administration and Local Government. She is also a professional member of the South African Association of Public Administration and Management (SAAPAM). Professor Muhammad Hoque is an Associate Professor in Graduate School of Business and Leadership (GSB&L) at University of KwaZulu-Natal. Prior Professor Hoque joining GSB&L He later moved to MangosuthuUniversity of Technology in 2005 where he taught statistics to engineering and management students. he taught Biostatistics to postgraduate students at the University of Limpopo (Medunsa Campus) and supervised postgraduate students. He was worked under the faculty of Mathematical statistics at UKZN where he taught statistics to undergraduate students. 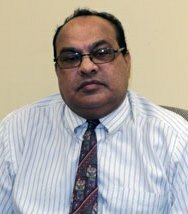 Currently he is teaching Business Statistics to Master of Business Administration (MBA) students and supervising postgraduate students.Professor Hoque received his PhD in Medical Science degree from University of Antwerp, Belgium. 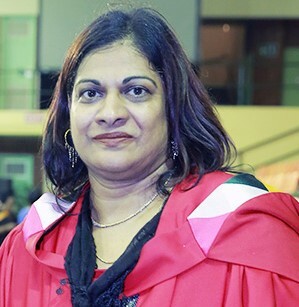 Dr Indira Padayachee is a Senior Lecturer in Information Systems & Technology at the University of KwaZulu-Natal, where she has taught a number of subjects including Systems Analysis and Design, Database Design and Management, Software Engineering and Human Computer Interaction. 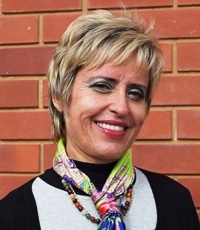 Prior to that she was employed at the Durban University of Technology at the rank of Associate Director in the Department of Computer Studies. Indira has a PhD in Information Systems obtained from the University of South Africa. 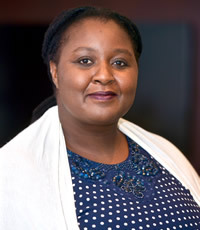 She has published articles in Alternation, the South African Computer Journal and the Journal of Contemporary Management, as well as contributed a book chapter in the IGI global publication, “Handbook of Research on Information and Cyber Security in the Fourth Industrial Revolution”. In addition, she has presented research papers in various peer-reviewed conferences, namely SACLA, the Annual Conference on World Wide Web Applications, the international conference on eLearning and SAICSIT. Her research interests include eLearning, smart education, information security, human-computer interaction and information technology adoption. Dr Donrich Thaldar is an Academic Leader Higher Degrees & Research in the School of Law at University of KwaZulu-Natal. Donrich Thaldar joined UKZN in February 2017 from being in private practice as an advocate at the Pretoria Bar, where he specialised in human rights litigation. During his career as at the Pretoria Bar, Donrich acted as counsel in several reported cases, amongst these four cases heard in the Constitutional Court. He was also admitted as an amicus curiae in South Africa’s euthanasia test-case. In 2016, Donrich was nominated by the Pretoria Bar for the national Pro Bono Advocate of the Year Award. Prior to his career at the Pretoria Bar, Donrich was a technology entrepreneur. Donrich holds a PhD in law from the University of Cape Town, and a Postgraduate Diploma in Strategy and Innovation from Oxford University. Donrich lectures Bioethics and Practical Legal Training, and is also involved in the LLM programmes in Constitutional Law and Medical Law. Dr Phocenah Nyatanga is an Academic Leader for Economics in the School of Accounting, Economics and Finance at University of KwaZulu-Natal. Her research interest includes consumer behavior , demand analysis of agricultural and food commodities. Dr Pfano Mashau is a lecturer at Graduate school business and Leadership. He lectures postgraduate Business Research methods. His research interests focus on Small business development, innovation, business environments, entrepreneurship and research. As a lecturer,Dr Pfano focuses on creating an environment where students can challenge themselves to think creatively and to move out of their comfort zones in formative and summative assessments and class activities. As a research methodology lecturer, his main interest is to see student valuing both applied and basic research.